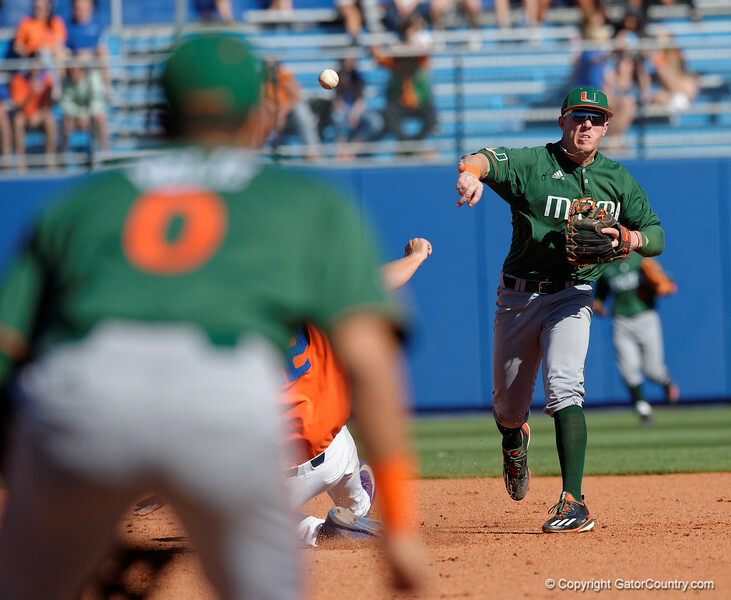 Miami Hurricanes infielder Johnny Ruiz steps on second and throws toward first base as the Gators sweep the series over the University of Miami Hurricanes with a 6-2 win at McKethan Stadium. February 26th, 2017. Gator Country photo by David Bowie.